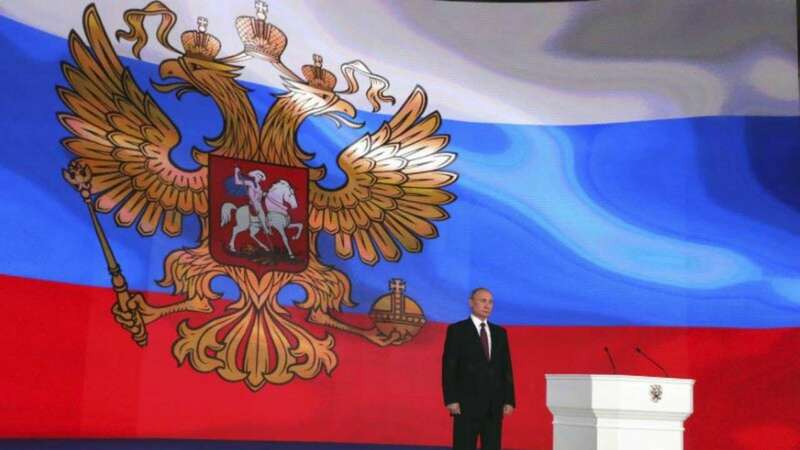 Vladimir Putin: New Czar Rising…but is He Gog? Mark my words…Putin is no ordinary man, and this was no ordinary election. The 6 years ahead will be unparalleled as the egomaniac, power-hungry Putin takes the reigns as czar in an attempt to become the most powerful man in the world. Consider this: For years, Putin has angled to consolidate Russian power in his hands and his alone. He has now done that. Russia is a totalitarian state (consolidated power) with mega-imperialist ambitions to land-grab whatever territory Putin can get his hands on. He is poised to challenge the US and our allies, betting we will not respond strongly enough to stop him. He strives to make Russia the world’s only superpower. Through the years, Putin has quietly built up Russia’s military, has cozied up to nuclear power states (such as North Korea), helped put Iran on the verge of nuclear capability, and has moved his military like pieces on a chess board with little, if any, opposition. Russia has a critical seaport on the Syrian coast, and has disbursed large numbers of troops to borders with NATO member states such as Latvia, Estonia and Lithuania. He continues to threaten takeover of the Ukraine and has even set his sites on places like Finland. If left unchecked, he will undoubtedly run amok in Eastern Europe and elsewhere. The only real hurdle left for him: the Russian economy. It is still in the tank and, in order to fulfill his ambitions, he must somehow address that need. Here is where it gets dicey! In that part of the world, Russia does what Russia wants to do…except they are in desperate need of an economic engine to fuel their ambitions. Oil and gas, the bedrock of their economy for ages, are dribbling now. They have no other resources capable of filling the void. So, what does Putin see? Seemingly the best economic windfall in the entire region: Israeli oil and gas! You know where this is going! Russia is not in Syria to fight terrorism. They are in Syria to take over valuable footholds (such as seaports and military bases), ultimately to get oil and gas flowing once again into Europe. Not surprisingly, as Russia and Iran (who is in Syria for an entirely different reason) land-grab in Syria, they threaten Turkey’s Erdogan, who is also power-hungry! His ambition, though, is not economic, but religious, as he wants to re-establish an empire, similar to the old Ottoman Empire, and become the Sunni sultan. He wants to rule the entire region (indeed, the world) religiously! All that is happening in Syria, and those three (Russia, Iran and Turkey) are the key players in the Ezekiel 38-39 prophecy, predicting that coalition (along with others) to advance from the north to invade Israel. Every one of them have motive, and the stage is completely set for that to take place! So, the question that has been asked routinely over the past several years is now more relevant than ever before: Is Vladimir Putin the character Ezekiel identifies as the leader of the coalition, Gog of Magog? Some Bible scholars who have been hesitant to make clear statements about that are now stating their belief that Putin is indeed Gog. While I believe Christians will be raptured prior to the antichrist being revealed, I think it is possible God could unveil Gog of Magog in our lifetime, while we are still here on earth. So, do I think Putin is Gog? He definitely has the characteristics the Bible describes, and the stage appears fully set. Yes, I believe he could be…but only God knows that at the moment. But here is an interesting thought: the Russian constitution allows a president to serve only 2 consecutive terms and this is Putin’s second. (He served previously as Prime Minister.) If Putin is indeed Gog, it seems highly likely the invasion of Israel by the northern coalition will occur in the next 6 years! We don’t know for certain the chronology of end time events. Will the rapture occur before or after the northern invasion? Will the defeat of the Islamic world during the War of Gog and Magog prepare the way for the antichrist to come to power? If the rapture occurs after the northern invasion, how long after? We just don’t know! But I DO know one thing for certain: there is nothing that MUST happen before Jesus appears in the clouds and takes us (Christians) up to be with Him! As Christians, I believe we are living in perhaps the most exciting time in history! Jesus could come in our very lifetime…and He tells us to be ready. I am excited about our future. How about you! But, are we ready? Are we about our Father’s business? Are we watchmen on the wall, sounding the alarm to all who will listen?